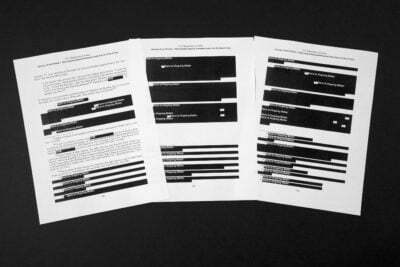 We heard from nearly 250 people who offered advice on whether we should use the term “Downstate” in our reporting. Here are the results. This story first appeared in ProPublica Illinois’ weekly newsletter. Sign up for that here. Calling all Illinoisans: Help us understand the location and connotations of “Downstate,” so our newsroom can better choose our words both in how we write and how we talk. When I asked for help defining “Downstate” Illinois a few weeks ago, it was more than mere curiosity; I was asking for advice. I wanted to understand how people felt about the term and I wanted their advice to inform the words our newsroom uses in our reporting throughout the state. You responded. About 250 people — and counting — reached out. It has been a fascinating conversation about regionalism, a need for specificity and the feeling of being “othered.” Now, I want to share with you some of those responses, what I’ve learned, and how I’ll incorporate this feedback into our newsroom. After WWII, as people from Chicago moved outside Cook County, “Downstate” became everything outside Cook, DuPage, Lake, McHenry, Will and Kane counties. Now, as the suburbs have moved out, Kendall County has changed from “Downstate” to Chicago-area. According to Tim’s definition, over time, Cook County’s municipal boundaries became less relevant to the feeling of Cook County, or “Chicagoland.” It shows that boundaries, while still necessary for politics and planning, can evolve and are maybe even better described without a map at all. Downstate Illinois is the point where baseball fans support the Cardinals rather than the Cubs or White Sox. @MisterJayEm’s insight about transit brings up the idea of access. 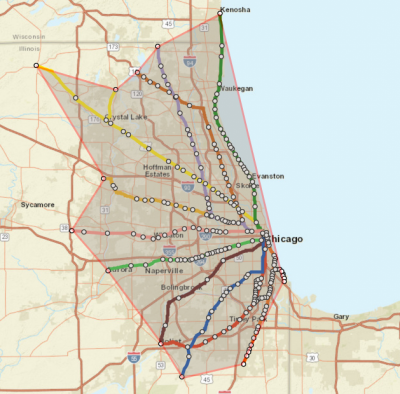 If you were to draw a line that connects the final stops of each Metra line outside of Chicago, it would show the boundary of a place that is reasonably accessible by public transportation. That same boundary could also be considered the outskirts of “Chicagoland,” the line between what’s outside and inside. In the late ‘70s and early ‘80s, I worked at the State Journal-Register in Springfield, smack in the middle of downstate. Big Jim Thompson was the governor and the state was spending a lot of money on tourism. The slogan was, “Just outside Chicago, there’s a place called Illinois.” It really fit, and I loved the way it played to the “downstate” frame of mind because that’s what “downstate” is, less geography than an idea. The Illinois Office of Tourism tweeted me to say the “Just outside Chicago” slogan wasn’t an official state campaign, and that their current campaign “celebrates all of the amazing experiences throughout the state.” But if there was an idea that Illinois could be a separate place for Chicagoans to visit, then what did it mean when Illinoisans stepped into Chicago? It was in my Writing for Magazines class. I had written a nonfiction article about the area I grew up in. 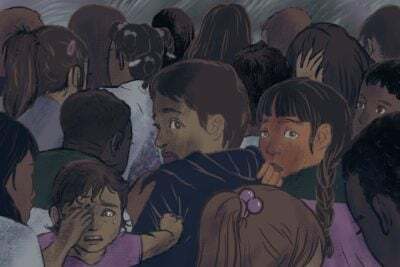 The professor introduced my piece in workshop and made the remark: “You forget how rural things are downstate.” It was maybe the first time I realized that people in Chicago think of me and the area I grew up in as different. It's a word Chicagoans use to describe someplace other than Chicago. I have never and would never use it to describe where I come from. Downstate as “other than.” These words matter. And for some people, they can hurt. does NOT include the West of Chicago (“sidestate”) Really, the Quad Cities don't exist. I’m sure you all have some thoughts on that. And do we now have to define “sidestate”? But, guess what? 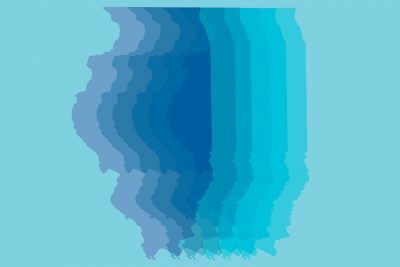 The state of Illinois reflects the demographics of America better than any other state in the country, according to this post from FiveThirtyEight. Meaning: Illinois, as a whole, looks very much like America right now, in terms of distribution of age, race, ethnicity and educational attainment. Sure, Chicago has something to do with that. But it doesn’t carry that entire weight. It may be surprising news if you live in Chicago. And, maybe, less surprising if you live outside of it. Illinois is a state of multiple regions and using the term “downstate” only reinforces the media’s arrogant and Chicago-centric attitude. It’s time to dump the term and start referring to our regions in the manner that reflects their unique geography, culture, history and self-descriptions. 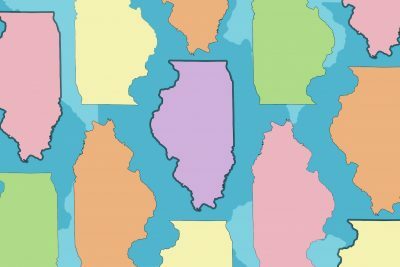 Gregory might enjoy knowing that the Belleville News-Democrat (self-described “experts on matters not-Chicago”) made it quite clear to us that the “Downstate” question has been settled — “anything south or west of Chicago and its suburbs” — and that the real question is what differentiates “Southern Illinois” from the rest of the state. 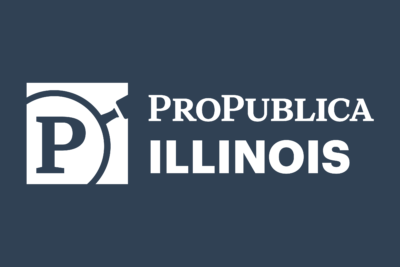 So, where does that leave us at ProPublica Illinois? Should we use the word? I’m going to take a hint and say, no. I’m serious. 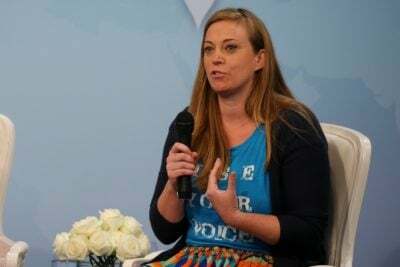 I’d love to spend time with you in your community. So, if your local newspaper, historical society, book club or bowling league wants to show me around town, I’d be up for that. Write me. Just don’t tell me you live “Downstate,” because I’ll have no idea where to find you. Logan Jaffe is the engagement reporter at ProPublica Illinois. If you’d like to introduce her to where you live, email her at [email protected].